Both sexes fully winged. Body and legs brown, tarsi yellow, also base and apex of tibiae; antennal segments III–V largely yellow; fore wing with base dark followed by a narrow white band, also sub-apically a longer white band, apex dark, but the long median shaded area sometimes slightly paler at mid-point. 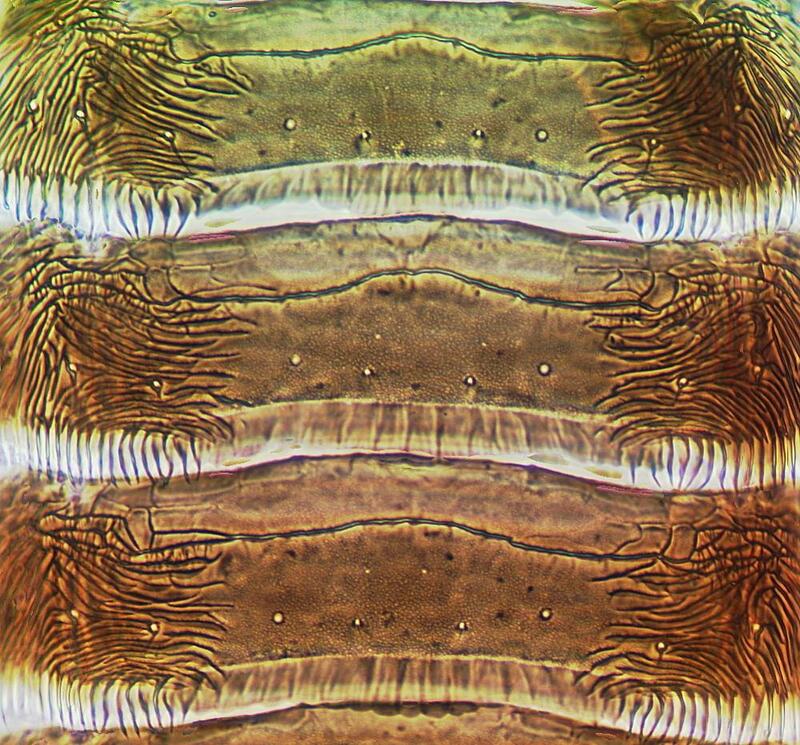 Antennae 8-segmented, III–IV with sensorium forked, VII–VIII elongate. Head and pronotum without prominent setae; head reticulate with markings inside each reticle, pronotal sculpture forming lines with markings between the lines. Metanotum strongly sculptured, median setae wide apart. Metathoracic endofurca lyre-shaped and extending to mesothorax. Fore wing first vein with 2 setae on distal half, second vein with about 6 setae; postero-marginal cilia wavy. Tarsi 1-segmented. 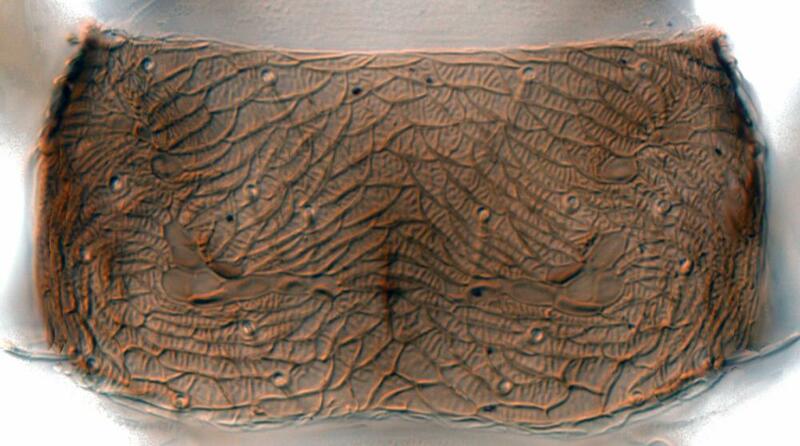 Abdominal tergites II–VIII with median pair of setae small, posterior margin with prominent craspedum that is toothed laterally; lateral thirds of tergites with linear sculpture and markings between these lines anterolaterally on each tergite. 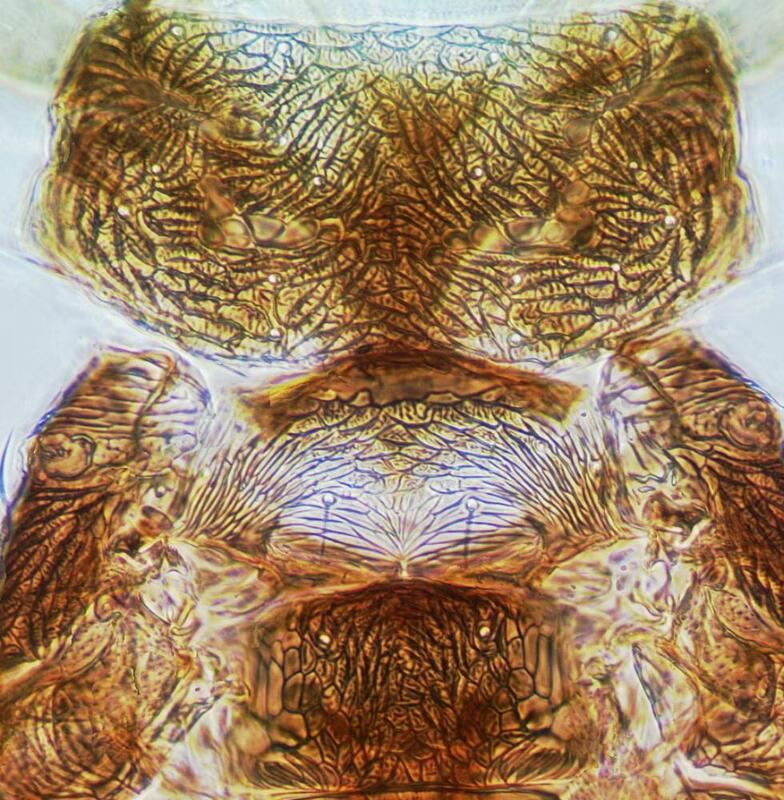 Sternites with 3 pairs of marginal setae arising anterior to broad craspedum. 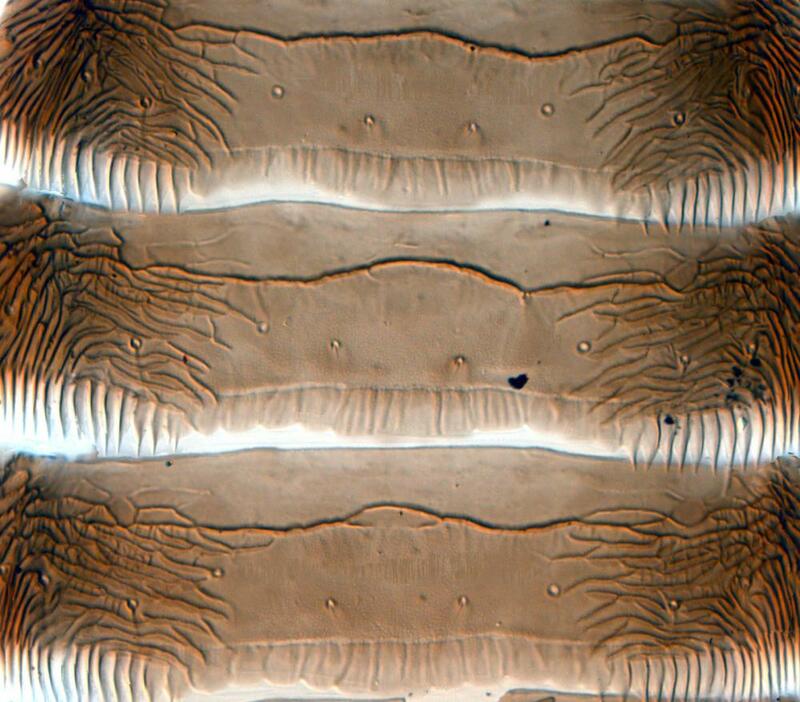 Male sternites III–VII with slender transverse pore plate. 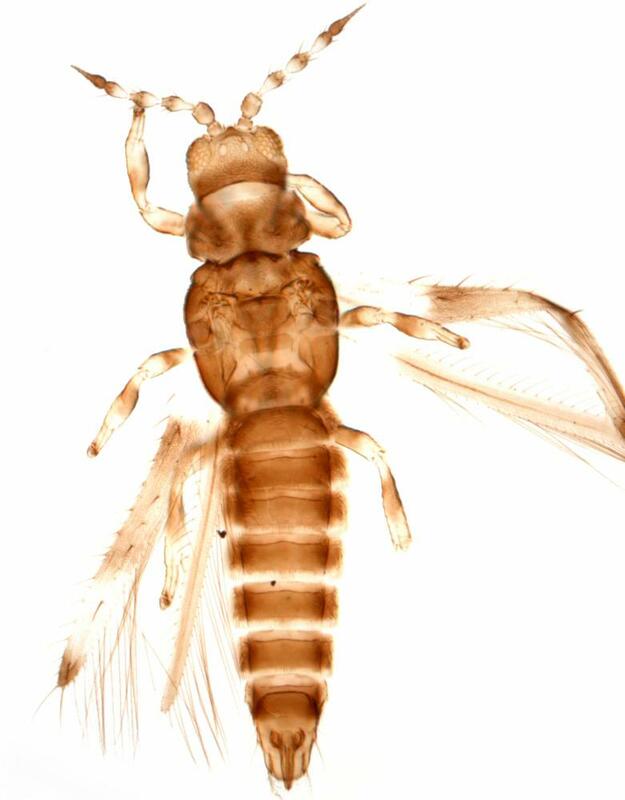 The South American populations of C. phaseoli are sometimes treated as a distinct species, C. braziliensis, because the fore wing is uniformly dark medially, whereas in the North American populations this dark band is paler medially (Nakahara, 1991). 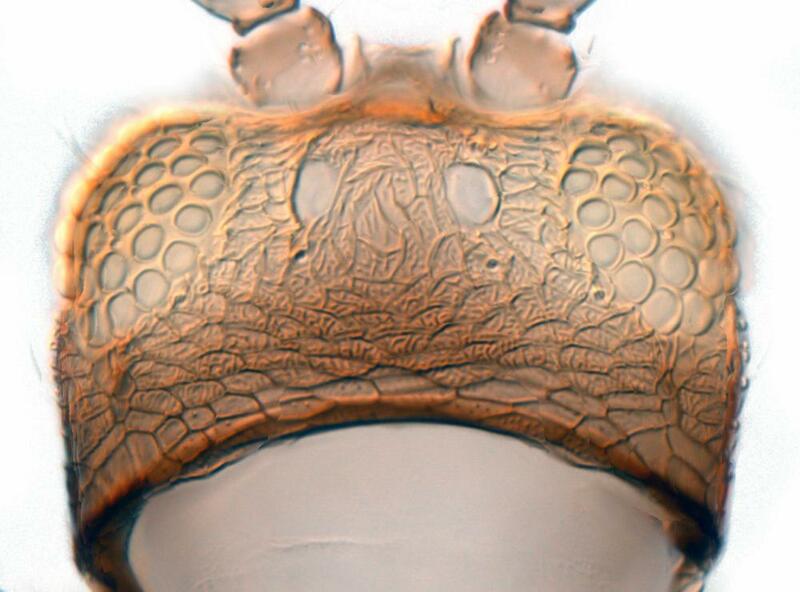 Also very similar is C. multistriatus Nakahara from southeastern USA, in which there are wrinkles between all the main sculpture lines on the tergites, and the Caribbean species, C. nanus (Hood) that has a stout dark seta on the fore wing veinal fork. 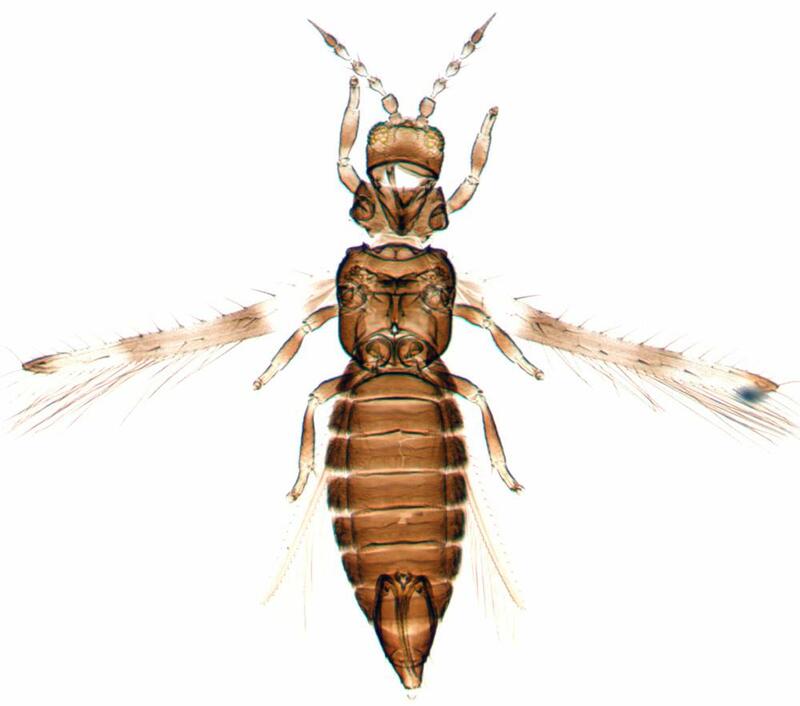 Twenty-one species are recognized currently in the genus Caliothrips, of which 10 are known from North America (Nakahara, 1991), mostly from the southeastern States. The other species are found widely around the world in tropical and subtropical countries, with none living in Europe. Recorded from many plants, including cotton, but probably associated particularly with the leaves of Fabaceae. Considered a pest of beans, and also at times of cotton. California, Arizona, Texas, also Mexico south to Argentina.